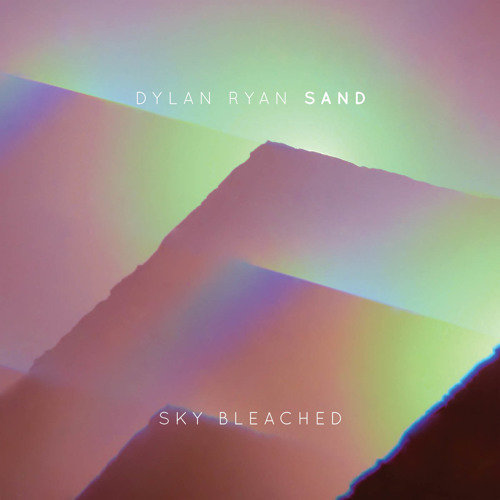 PURCHASE Dylan Ryan/Sand's 'Sky Bleached' (Cuneiform Records) @ AMAZON (digital & physical): http://www.amazon.com/Sky-Bleached-Dylan-Ryan-Sand/dp/B00A04YGCO WAYSIDE (physical - ships worldwide): http://waysidemusic.com/Music-Products/Ryan--Dylan---Sky-Bleached__Rune-spc-357.aspx BANDCAMP (hi-fi digital): http://cuneiformrecords.bandcamp.com/album/sky-bleached ITUNES (digital): https://itunes.apple.com/us/album/sky-bleached/id592522382 "I had the idea to write songs for a jazz band that had elements of Black Sabbath, the Cure, Jaco-era Joni Mitchell, and free jazz. I intentionally made the free playing and the composed sections less compartmentalized. The idea is to have a really great sounding rhythm section that can stretch out and make music spontaneously, and naturally together. Sand is a jazz band, but it reflects the different things I grew up on and listen to; It reflects the fact that I am playing jazz, but that I wasn't born in 1945." – Dylan Ryan Featuring his volatile, Los Angeles-based trio Sand, 'Sky Bleached' is Dylan Ryan’s debut album under his own name, but the insistently exploratory drummer isn’t a new face on the professional music soundstage. A bandstand veteran who’s spent the past decade collaborating with an array of galvanizing musicians across a wide array of creative scenes, he’s probably best known as the catalyst behind the pugnacious prog-jazz sextet Herculaneum. That’s likely to change with Cuneiform’s release of 'Sky Bleached', a stunning, guitar-drenched slab of visionary, 21st century jazz informed by pop culture and 3rd millennium fusion. A key force in the avant-rock project Icy Demons, and half of the psychedelic electronica power duo Michael Columbia, the Chicago-raised Ryan has also toured with Omaha indie rock legends Cursive and regularly works with Los Angeles electro-world-pop outfit Rainbow Arabia. Boasting a sonic vision that stretches to the far horizon, 'Sky Bleached' draws on many of Ryan’s varied experiences, but Sand instantly establishes itself as wild and wooly creature in its own right. Featuring Los Angeles guitarist Tim Young, a versatile player sought out by artists such as Fiona Apple, John Zorn and Beck, and bassist Devin Hoff, a recent LA arrival who’s toured and recorded extensively with the Nels Cline Singers, Xiu Xiu, and Good For Cows, the LA-based trio restlessly ranges between moods, textures and styles. For Ryan, the project provided an ideal opportunity for exploring contrasting, even antithetical impulses, juxtaposing introspective odes with aggressive anthems, artfully composed passages and impromptu flights. With their love of jazz, metal, indie pop and numerous other styles, Ryan, Hoff and Young draw on a vast shared sonic vocabulary in Sand. In creating a fertile environment for the trio, Ryan fully utilizes Hoff’s gift for melodic invention, and Young’s imperturbable rhythmic drive. Whether exploring a melancholy soundscape or an ecstatic rave up, 'Sky Bleached' constantly subverts expectations with music that defies categories, and embraces all possibilities.